Outsourcing is advisable for a complicated profile for instance finance and accounting. It is necessary for companies to be aware that finance is among the most crucial sectors for almost any business. To boost financial transparency it is essential to outsource these kinds of tasks to an exceptionally skilled company that comprehends your business requirements. Given that there exists a lot of financial instability globally these days, businesses based world-wide have begun outsourcing a number of aspects of businesses by decreasing their operational expenses. Each and every business looks ahead to obtain superior productivity and cost-effectiveness, and this is a major motive that a lot of businesses have outsourced accounting and finance services to dependable companies. There are just a couple of businesses that provide professional outsourcing business for finance and accounting. Amongst those ATT is truly one of the well-established names in finance outsourcing industry. The list of services provided by the company consists of bookkeeping from order-to-cash, procure-to-pay, record-to-report, decision assistance and cash flow administration in addition to tax preparation and more. By means of first-class, economical and result-oriented accounting services, ATT has introduced positive business efficiency. There are a great number of advantages of outsourcing finance and accounting related service. Besides the major expenditures there are several additional operating costs that have to be looked after when you operate a business. The expenditure costs are rather expensive and the total expense related to accounting can be decreased with the help of the right outsourced service provider. The provider’s cost format and the economy of scale can assist your business obtain a competitive advantage over the remaining. Finance and accounting outsourcing not just provides cost-related benefits but additionally strengthens all-round accounting operations. A reliable outsourcing company with its top of the range knowledge and numerous years of expertise can help you streamline an accounting process. Finance and accounting outsourcing for companies decreases staffing expenses by 70% , that helps in lowering the total costs also. 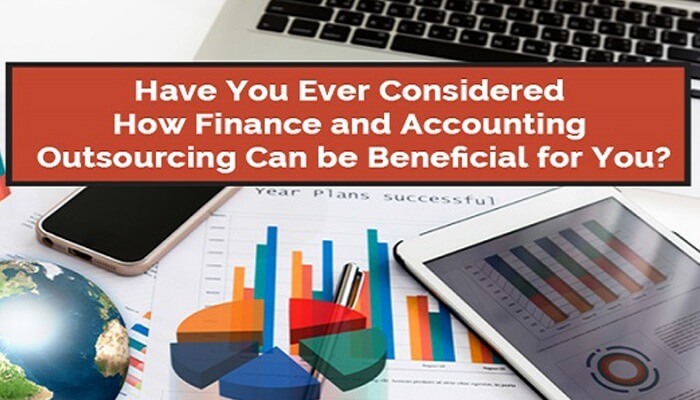 Whenever you intend to outsource finance and accounting for your business ensure the company makes use of revolutionary technology and has a team having specialized expertise that can manage major accounting tasks with rather simplicity. Outsourcing is really versatile to fulfill your company’s requirement. The outsourcing company gives importance to all the accounting and financing reports to a particular prerequisite that assists businesses to strengthen in financial structures. This provides your business a lot more versatility to fulfill your particular needs so that your company can spend money on crucial resources. Employing skilled team of experienced assets that are outsourced can be employed at a reduced cost. In the current financial situation, rather than choosing skilled distinctive resources for an exhausting job, outsourcing accounting and finance or perhaps any other particular skill can help you in saving time in recruitment and training procedure and also leads to staff attrition rate to little or nothing. We at ATT offer world-class finance and accounts outsourcing services to companies globally. Get in touch with us at +1 646-688-2821 to know more about our offerings and to get started with your free trial.